We have three shows coming up as we head into summer. 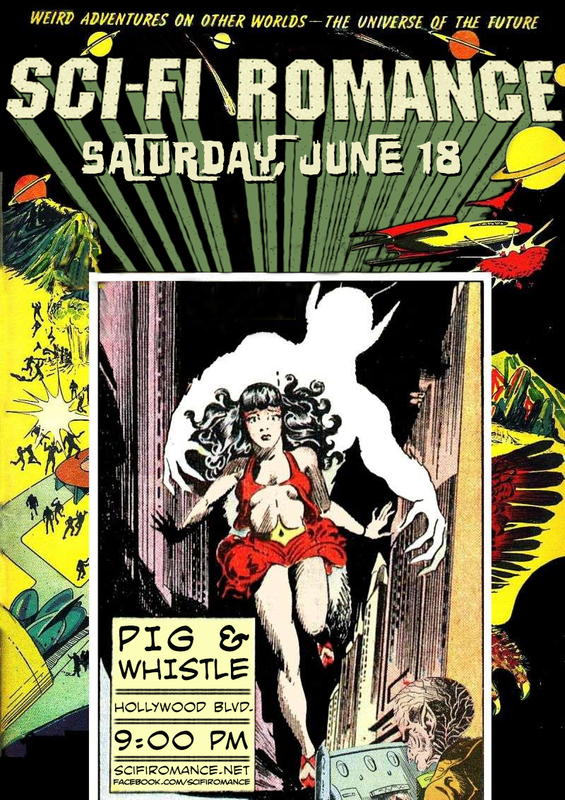 The first two are solo acoustic sets where I’ll be trying out some new things, and the full band performs at the Pig N Whistle in Hollywood again on Saturday, June 18th. Come on out to one of the shows, say hi, and help spread the word. 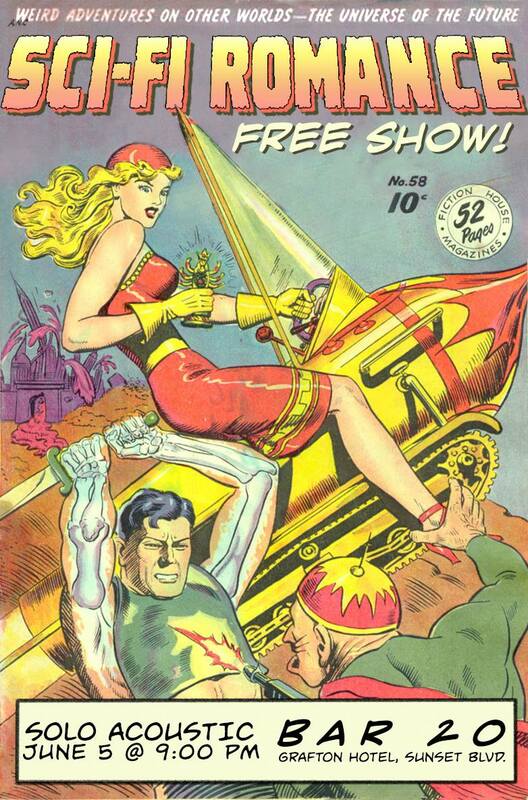 And I have to admit, these are some of my favorite show flyers we’ve done. 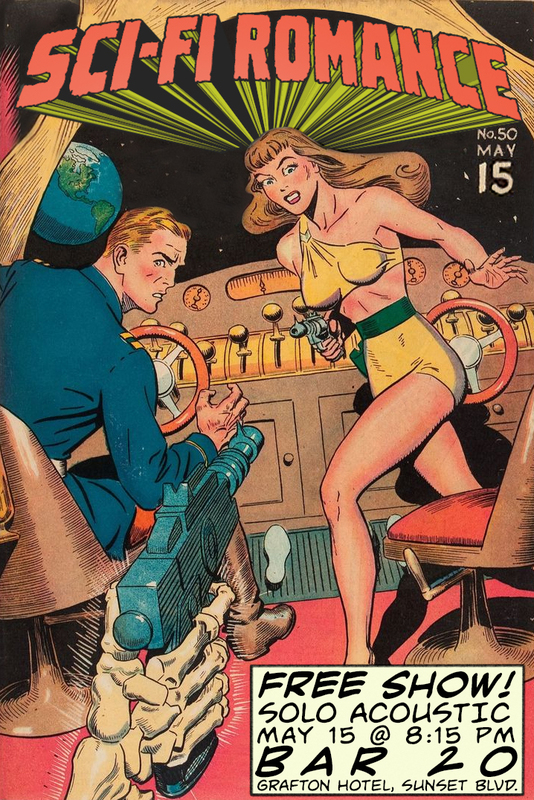 These are adapted from the covers of 1950s Planet Comics titles that have lapsed into the public domain. The time is finally at hand! 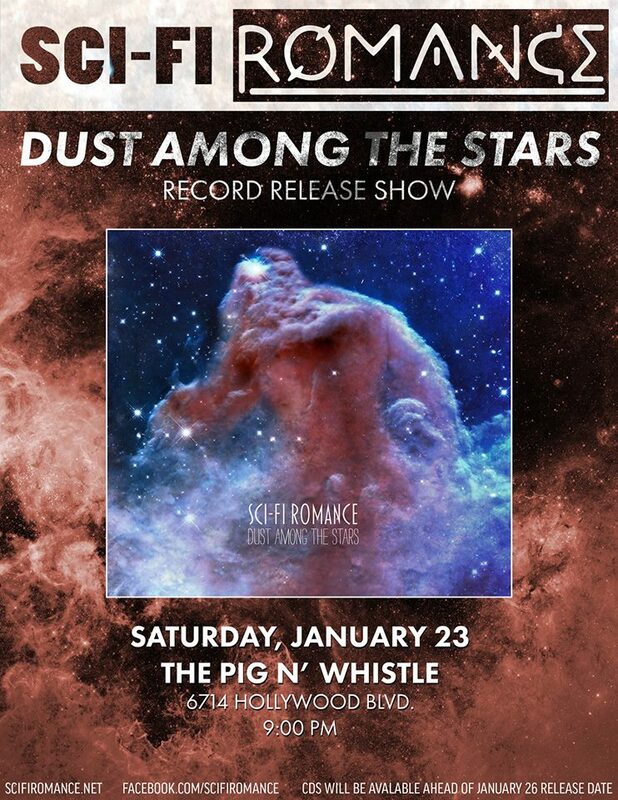 The band will be performing our CD Release show (yeah, we’re still making actual CDs) on Saturday, January 23, 2016 at the Pig N Whistle in Hollywood. Three days in advance of the album dropping, you can get a copy and help us celebrate what’s been quite the long journey. So tell your friends, or grab your friends, and come on out already.